As for our time with Len we are doing all the things he wants to do and that is mainly being with family and friends. We have taken loads of photos, with everyone creating loads of memories. Yesterday we went to see Lloyd (another close friend of Len's) who was racing his bike at Brands Hatch. He managed to get us all free tickets to see him, and raced his heart out to get a second in the race, which put a smile on Len's face. We all had such a laugh! We are taking each day as it comes and making the most of every minute. Well yep you're right we haven't blogged for a few days and yep you're also right there is something wrong! We were out at the pictures watching the Harry Potter film when we got a text saying Del's dad (Len) had been omitted into hospital again after a CT scan. They had found some shadowing on the brain and it needed to be investigated. After a full body MIR scan they found he has cancer of the lung and it had spread to his brain. To cut a long story short we were told there was no light at the end of the tunnel, and we were told he doesn't have very long. There are four categories of cancer, one to four, Len is at four. We are livid that he has only recently had a kidney transplant and this was not checked before hand, but he did smoke in his early days and that is that. So Len is now back home and we have been spending quality time with the family and friends and we are grateful we have the time to do this. Today we moved Derwent6 and managed to find a marina which will be able to accommodate us. This blog will be updated, but not everyday, as minutes are now hours to us and the camera is pointing at one person only. The sun was out and we were up early and sitting in the cratch with breakfast. We had planned to move but it was just so nice sitting in the sunshine. We have been watching boats go backwards and forwards and could not be bothered to be queuing at locks and we just love this spot. Del then did some work on the engine, adjusting the alternator belts, and he also changed the water filter. Al on the other hand, read her book.... We then noticed a plum tree nearby and managed to get a bag full of juicy plums. Al washed them and got them ready for cooking, maybe jam or a crumble yum! In the evening we walked into town and found an open mic night at The Old Ticket Hall, they have music on all weekend till 2.00am and it's free. It's also only about a five minute walk back to Derwent6. Al's mum had an appointment at the hospital today so Al went down to Kent to help her dad get her there. She caught the 8.00am train from Windsor which got her into Kent for 9.40am. 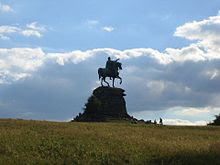 Del went out on his bike to explore Windsor Great Park and started by doing the Long Walk.. 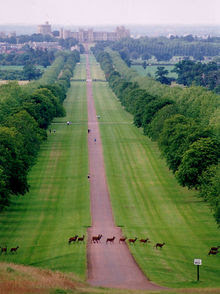 This goes from the castle's George IV gates to the back of the park and is 2.65 miles long. 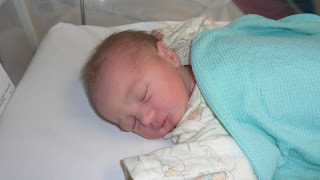 All had gone well at the hospital and Al got back to her mum's at 2.00pm. Pam was wearing her lovely new ring which Alf had brought for her as an early 60th wedding anniversary present. Al got back to Derwent6 at around 7.00pm with Fish and Chips in hand. We were up this morning and set off for Windsor at 10.30am. We managed to get there just in time for the changing of the guard at Windsor Castle. We were lucky enough to see the Coldstream Guards with their bearskins on their heads, a spectacular sight. We followed them back to Victoria Barracks which took us on a walk around Windsor. Well a mile and a half later we found our way back to the shops. We had saved up enough stickers for a free coffee in Mac'y Dees so we were glad to rest our feet for a bit. The trouble is with the smell of the chips, you just can't resist having some, so it ended up costing us lunch anyway. We then walked down to the waterfront and watched the people faffing around waiting for boat trips on the Thames. We then went to Eton village and walked the half a mile or so to the famous school and college which has produced so many prime ministers. We were only able to go into the courtyard and around the chapel. There were steps to climb the wall to the grounds behind which Al climbed. Does anyone know what these were for? We then walked back with aching feet and decided to get another free coffee back on Derwent6. It was a cloudy day but still warm. While we were out we brought a couple of DVD's (two for ten pounds), so with dinner we sat a watched one of them. We set off at 8.30am and got to Bray lock just as the lock keeper was turning up. "Jump on your vessel" he said to Al and we sailed through. 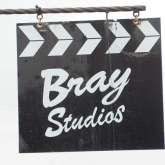 We then saw Bray film studios again, but this time from the river. At Boveney lock we could see Windsor race course and we stopped to get rid of our rubbish we had amassed over the weekend. We continued around the parameter for the course and it wasn't long before Windsor castle was in view, just a fabulous sight travelling downstream. There had been a few good moorings we could have got onto on the way, but we had a mooring in mind where we could stay for a few days, we hoped...... We looked at the all the moorings nearest to the town, but they were 24 hours and charging four pound a night. Hmm the fair was in town so we also wanted to avoid the crowds if possible. So we took the plunge and we went through the massive Romney lock. We turned the corner and managed to see our old mooring we used last year. Derwent6 fits in like a glove and we can get right into the bank. We have been on Derwent6 two and a half years now and have still never used a plank yet. We still had our spectacular view of the castle and could watch the planes landing at Heathrow. We then had a ten minute walk into town and Al did her shopping therapy bit, and brought some new tops for the summer months ahead. We had a drink in Weatherspoons in the sunshine overlooking the Thames and afterwards went to Nando's for something to eat. We walked back across the park to Derwent6 and just relaxed with some magazines we had brought at the shops.